DESCRIPTION: The Grand Haven website was designed by REDdot Marketing and developed by PTC Computer solutions. Grand Haven is Palm Coast’s premier gated master planned community with 1,400 acres of beautiful coastal Florida property, much of it fronting the Intracoastal Waterway (ICW). 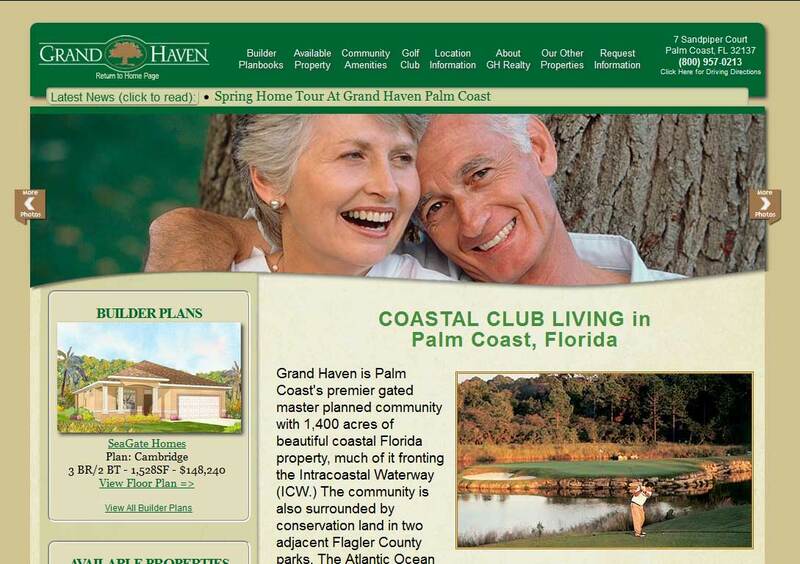 You can find out more by going directly to their personal website, www.grandhavenpalmcoast.com, or contact them directly at info@grandhavenpalmcoast.com or (800) 957-0213.